The revitalization of the tourism industry in Niagara-on-the-Lake is the stuff of Canadian business legend. 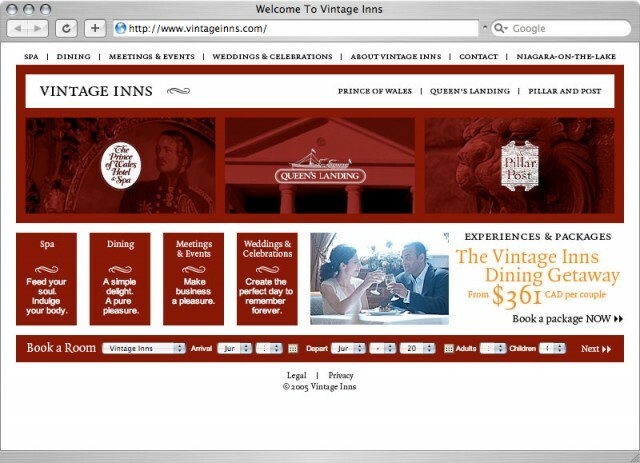 But over a decade after the infusion of new investment into the region began, the pace began to falter somewhat, and new management at Vintage Inns realized that the bulk of their marketing and branding dollars were being spent promoting the town and the region, which was good for business – all business, in fact, including their competitors in the hotel and B&B space. 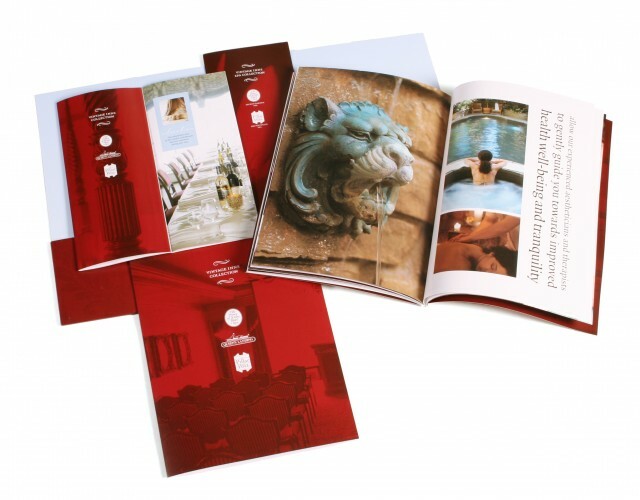 The new brand image for Vintage Inns – which left the identity and character of the three landmark hotels intact – brought new focus to the level of detail and individuality in the experiences people could find there. 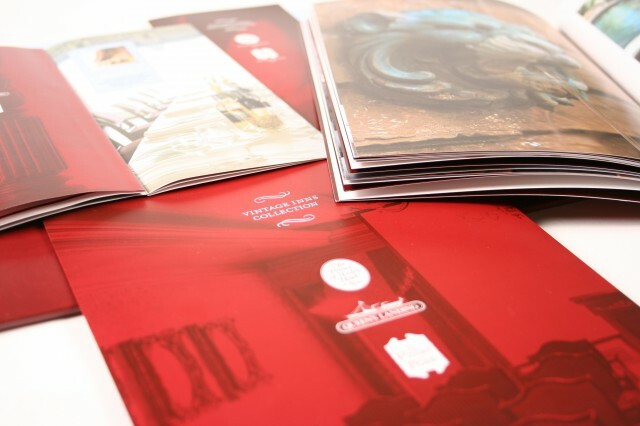 Fashion-inspired photography, experientially-driven copy and premium printing resulted in a collective warmth and sophistication that was previously lacking in their branded materials. Targeted radio and print advertising sought to bring people in the GTA back to Niagara-on-the- Lake for unique experiences and quick escapes. The online experience was re-vamped, giving more direct access to the reservation engine, while targeted banner advertising, e-newsletters and partnership programs helped drive new traffic to the site.